The Boston Fire Department responded around 9:58 p.m. for a technical rescue for a report of a deck collapse at 110 P Street in South Boston. A deck collapsed Saturday night in South Boston, sending four people to the hospital. The Boston Fire Department responded around 9:58 p.m. for a technical rescue for a report of a deck collapse. The deck collapsed from the second floor to the first. Fire officials say there were approximately 10-15 people on the deck at 110 P Street. 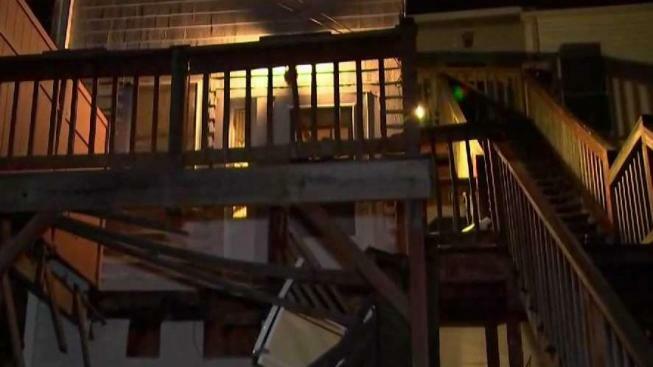 A woman who lives in the building tells NBC10 Boston that nearly a dozen people were on the deck enjoying the weather and partying when it just collapsed. The injuries are considered non-life threatening. The city's Inspectional Services Department is on scene.